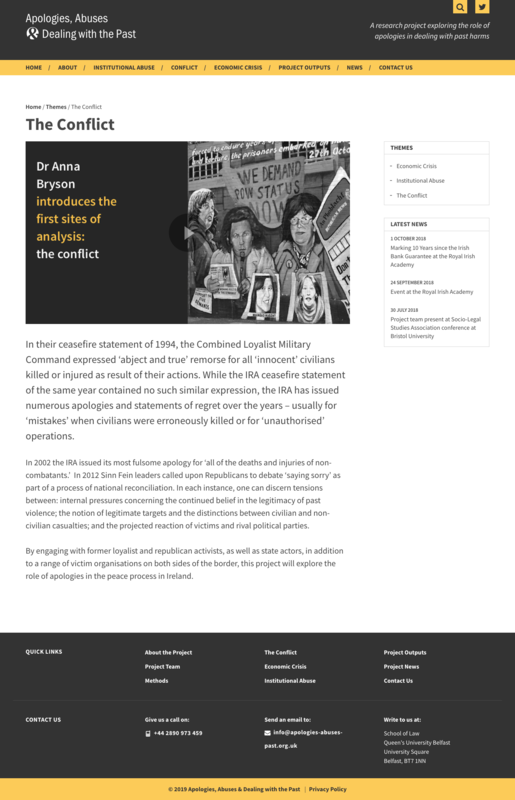 This project explores the role of apologies in dealing with past harms. The website aims to convince visitors that this is a worthwhile, interesting, high profile project and encourage them to view the findings/participate in the research. The client wanted a website that would raise the profile of the project both internally within the Universities and internationally. It was very important that the CMS would be easy to use for non-technical staff. 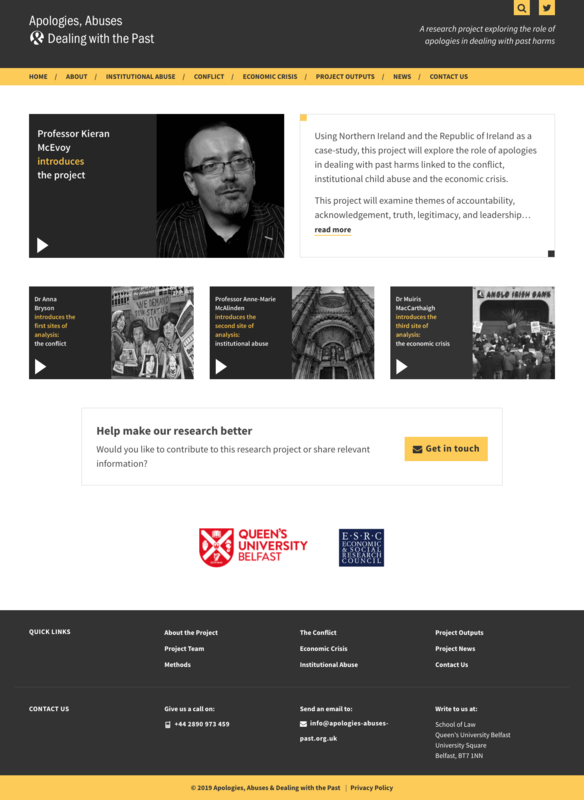 The design should share similiar branding styles to other websites I have designed for QUB. 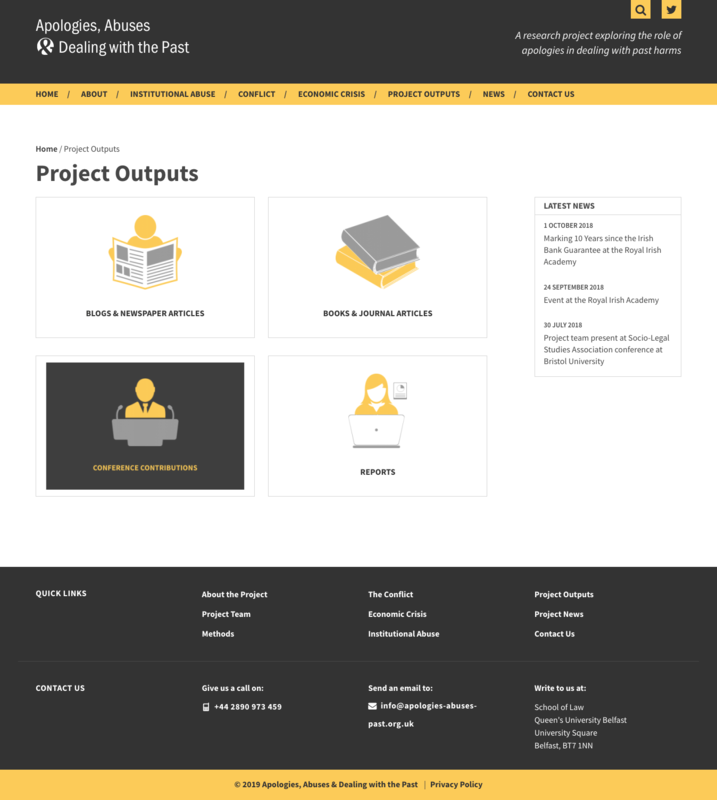 I built a bespoke responsive WordPress website with customised project output templates. 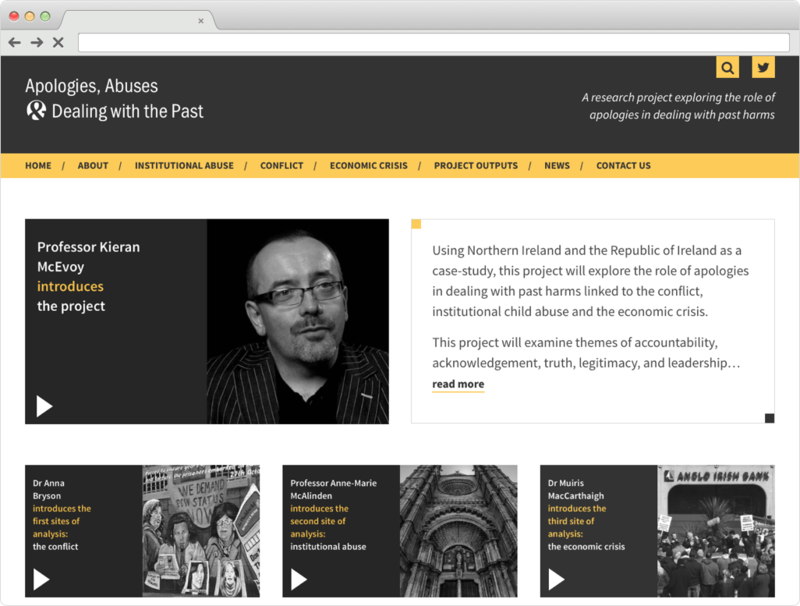 We are delighted with Charlie's work on the new website. She quickly grasped our brief and produced a website that is both comprehensive and user-friendly. The project was delivered on budget and on time — in spite of our academic inclination to wrestle with text and format right up to the end! We will gladly recommend her to colleagues and friends.